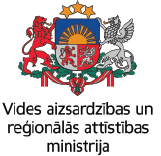 On Wednesday, on the 14th of November Rokiškis District Municipal Juozas Keliuotis Library (Taikos Street 19, Rokiškis, LT) invites children to the OPEN LESSON “Super games”. The lesson starts at 3 p.m.
On Tuesdays (6; 13; 20; 27) OPEN LESSON “Be curious, be smart” – IT day, i.e. activities with 3D printing, Xbox One, Interactive White Board, Interactive table. On Wednesdays (7; 14; 21; 28) OPEN LESSON “Super games” – IT day (activities with: Xbox One, Interactive White Board, Interactive table. On Thursdays – OPEN LESSON “3D films” (the 8th of November “Puss in Boots”; the 15th of November “Avatar”; the 22nd of November “Home”; the 29th of November “Walking with Dinosaurs”).